It is not uncommon to find surprise and skepticism when one presents the idea of a winery based in downtown Indianapolis. Many have a hard enough time imagining Indiana wineries at all. Isn’t wine supposed to come from California or Europe? However, many grape varieties grow extremely well in Indiana, and thanks to the passionate and skilled growers who provide our grapes, we are able to create excellent, authentic Indiana wines. All of Easley Winery’s grapes are brought from the individual farms to our central grape processing/pressing area here in downtown Indianapolis. Easley Winery started with Jack and Joan Easley, two home winemakers looking to expand their winemaking outside their basement. They dreamed of creating and selling Indiana wine. Unfortunately, it was still illegal to make and sell wine in Indiana in the late 1960s, so Jack and Joan started their operation investment at a vineyard in southwest Michigan. Despite this investment, the two never lost their dream of making Indiana wine. Jack and Joan were instrumental in creating and incorporating the Indiana Wine Growers Guild, along with 8 other Hoosiers, which reversed the Indiana winery laws in 1971. This opened the door for the Easley family and other Indiana families to pursue their dreams. 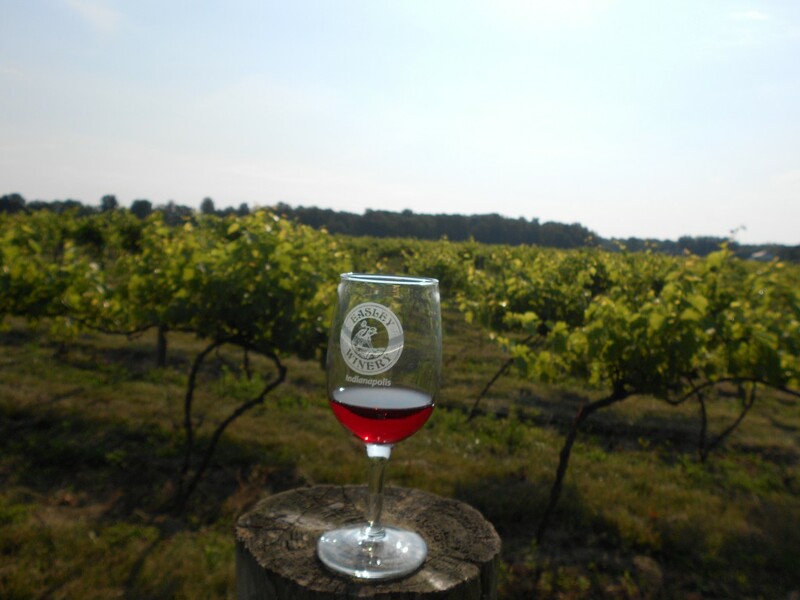 Throughout the next three decades, the Easley family produced Indiana wine with grapes from the family-owned Cape Sandy vineyards in Crawford County. The site of the Cape Sandy vineyard is high on the bluff overlooking the Ohio River. It was selected in the winter of 1971. Cape Sandy is a perfect site for grape growing due to the great frost protection the river provides. The winds come across the river three or four times (due to the horse shoe bends) before blowing through the vines. The cold Ohio River in the spring time chills the air and keeps the vines from budding out too soon. In addition to the frost protection of the river, Cape Sandy has deep limestone deposits similar to France. 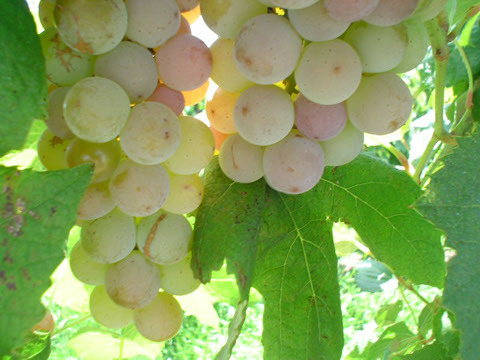 Cape Sandy was selected by Dr. Garth Cahoon from Ohio State University and proved to be a great location for growing French Hybrid grapes such as Foch, Seyval Blanc, Vidal Blanc, Baco Noir, Siebel 13053, Colobal, Chelois, Aurora Blanc, De Chaunac and GW-3 (Cauyga White). The first grape vines were planted in the spring of 1972. With the ever-growing demand for Easley wines and champagnes, Easley has established long-term contracts with grape growers to ensure a quality grape for every drop of our award-winning wines. Posey County’s own Fragrant Farms, known primarily for its peony flowers over its grapes, serves as a quality vineyard resource for the Easley family. 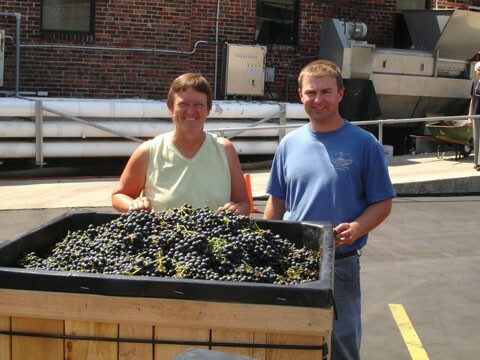 Under the management of Kathy Fridley, (pictured below) Fragrant Farms has become a pivotal part of our wine quality. Jennings County brings us Wahlman Farms, under the management of Richard Wahlman. Richard has established an exceptional vineyard that produces grapes including Traminette, Indiana’s signature wine. Not forgetting family history, Easley Winery Riesling grapes are grown in Berrien County, Michigan, just 12 miles north of Indiana’s border. This region proves to have similar climates to the more traditional Riesling regions of the world. In addition to the aforementioned vineyards, Easley Winery has begun to explore the Finger Lakes region of New York. No matter the growing region of the grape, Easley Winery is committed to a delicious taste in every sip of our award-winning wines & champagnes. We hope you enjoy the fruits of our labor.